Summer is officially here in Seattle, and many families are hitting the road for their annual summer vacations. If you’re planning a trip this summer, it’s important you’re aware that bed bugs could be hiding out in your hotel rooms. While we’re here today to give you some bed bug prevention tips, you can also call us if you’re already battling bed bugs in Seattle. 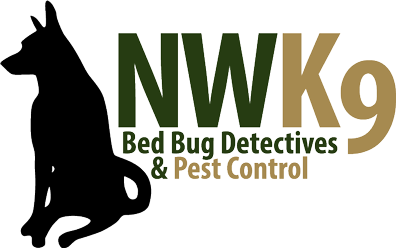 To avoid needing to call the bed bug extermination experts at Northwest K9 Bed Bug Detectives, follow these trips during your summer travels. If you opt to stay in a hotel room during your vacation, it is absolutely essential that you take the proper time to inspect each and every area of the room before you even unpack your luggage. Check all of the areas around the bed, linens, and mattress. Remember, adult bed bugs are the size of apple seeds, and young bed bugs are the size of poppy seeds. You can also avoid this scenario altogether and opt to go camping with your family instead! Washington state is full of beautiful family-friendly campgrounds. Even though you may not find any signs of bed bugs in your hotel room, you should still be mindful of where you place your luggage. Avoid storing your suitcase directly under the bed, and consider putting a plastic cover over it after you’ve checked into the hotel. Are you looking for a bed bug exterminator in Seattle? Need more tips for bed bug prevention? Call us today and let us help you.